She’s cuter than my work buddies at school, of course. Passwordless ssh – Linuxconfig.org – How to make a passwordless login to other machines. Many people have asked me about this from time to time. IIPImage » Images – How to create tiled tiffs using several image tool packages. VIPS – VipsWiki – Image processing tools, focusing on extra-large images. GraphicsMagick Image Processing System – A graphics toolkit based on and branched from ImageMagick. 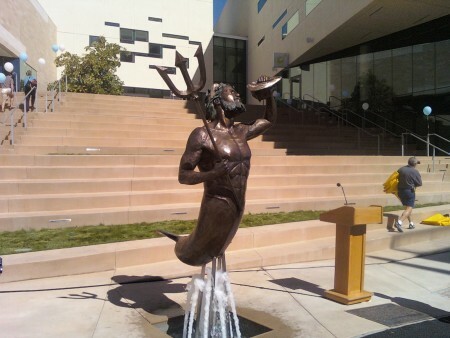 UC Berkeley has bear statues, UCLA has their bruin statue, UC Irvine even has an anteater. Now UC San Diego has a Triton! As I walked to lunch I saw the unveiling ceremony ending while the UCSD band (we have a band?) played the UCSD fight song (we have a fight song?). Below the statue there is a few streams of bubbly water and a plaque which explains that the Triton doesn’t get to use his awesome trident, he just blows really hard on his conch which scares all the other gods and baddies away. I, for one, am now waiting for the UC Santa Cruz banana slug statue. My adviser Professor Mike Norman, as part of his job at the San Diego Supercomputer Center, purchased an optiportal system for the new SDSC building which is opening today. 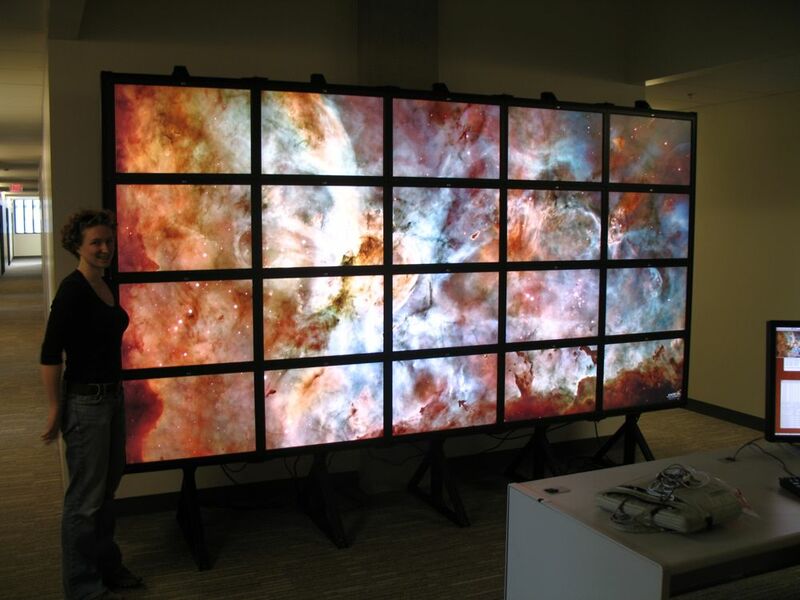 An optiportal system is a wall of monitors powered by networked computers such that the screens behave as one monitor. 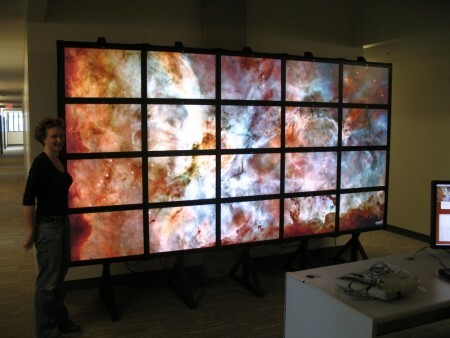 Very high resolution images and movies can be tiled across the screens, as you can see below. Movies and animations can also be tiled across the screens.